Where mine Zetacoin, crypto currency with SHA256 algorithm? Where deposit to get the 1% instant interests? Read the article. Zetacoin is a digital currency was born on August 3, 2013. As the Bitcoin uses the SHA-256 algorithm. The amount of Zetacoin established is equal to 160 million. The Zetacoin market is currently worth $ 418,000 according coinmarketcap.com. The coin has an active development team, in 2016 were released three updates wallet. The latest version available is the Zetacoin 0.11.2.3 of 20 June 2016. The official reference site is www.zetac.org. Mine Zetacoin: mining pool or cloud mining? These essential information on the coin, but if we wanted to mine Zetacoin, where to go? The classic method is a mining pool, which requires the possession, for our part, hardware ASIC to devote extraction activity. The ASIC devices are expensive, they quickly become 'old' and consume a lot of electricity, making it almost exceeded option. The alternative is to rely on cloud mining services. A cloud is a mining company that owns one or more mining farm, in cold areas of the planet, where they handle large amounts of hardware dedicated to undermining multiple crypto currencies. In this way, the operating costs are cut down considerably. 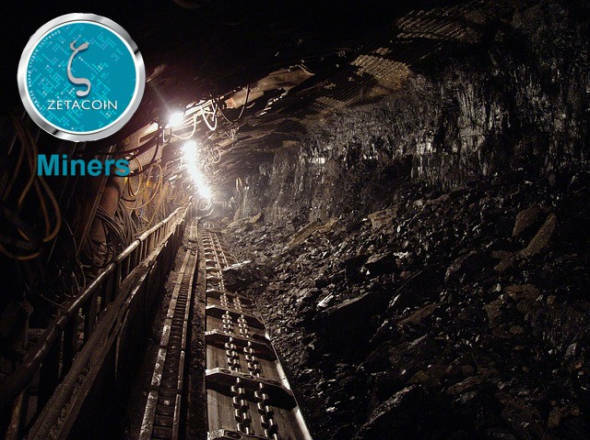 Among the reliable cloud mining that deal to undermine Zetacoin, we find Genesis Mining established company and known on the world stage for its reliability. Mine Zetacoin on Genesis Mining is very simple. Go on Www.genesis-mining.com, register and take a quantity of hashrate SHA256. Once the transaction, the amount of hashpower taken immediately begins to pull Zetacoin from the network for you. When you subscribe, use the promotional code 6BEuQe and get the maximum rebate provided. Provide a Zetacoin address on which to pay the money and you did. To get even more, I suggest you follow the hint below. To increase the value of Zetacoin, you should store them on (no longer available) platform. Here get 1% of instant interest each time Zetacoin deposits. Every time you deposit money on BTER, automatically it will be granted 1%. An excellent opportunity to add value to the crypto currency. Register on platform (no longer available), click on the menu item "Bonus". In the bottom of the list of coins, you can find Zetacoin. Click on "Deposit", copy the address at the top of the page and paste it in the wallet of Genesis Mining. From that moment, every time your hashpower releases Zetacoin, will be sent on BTER, where you will earn an additional 1% only for having made the deposit.